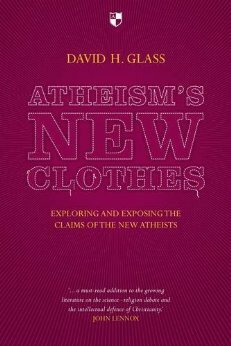 Guest Post: “The Presumption of Popular Atheism” by David Glass | J.W. Wartick -"Always Have a Reason"
« Really Recommended Posts 8/16/13: Elysium, Osteen, and Russell, oh my! Note the presumption Glass makes about this supposed agency called ‘God’ as if it were a single, discrete, knowable, commonly understood thing, that it is the same ‘God’ worshiped by muslims and christians and hindus and buddhists and jainists and scientologists. After assuming this agency is on one side of a debate and Dawkins’ criticism of equivalent belief in all them resides on the other, Glass then goes on to assume compelling evidence does exist for this single notion he calls ‘God’ because Antony Flew grew old and feeble-minded and became a theist based on the puddle analogy (as told by Douglas Adams, who wrote “Imagine a puddle waking up one morning and thinking, “This is an interesting world I find myself in — an interesting hole I find myself in — fits me rather neatly, doesn’t it? In fact it fits me staggeringly well, must have been made to have me in it!”), which goes by the more sophisticated name in theological circles as The Fine Tuning Argument. That’s not compelling evidence for any designing agency. Note also that Glass does not accept all different kinds of gods, either. In fact he pays no mind to the hundreds of thousands of gods he doesn’t believe in. He simply and effortlessly rejects them all for exactly the same reason atheists reject the one he does believe in. But according to his own reasoning, he forgets to include all theists in his criticism, that they too are also making a fatal mistake of non belief about all the gods they reject in the absence of compelling reasons! And this is why his recycled argument trying to blame atheists for the non belief exercised by theists reveals how convoluted the rationalizations must be to allow wiggle room for an individual faith-based belief to magically be exempt. This argument Glass uses invariably twists the reasoning of theists into hypocritical knots. Dawkins simply points this out and thus becomes the target of vilification for daring to speak truth to power: no theist has any more compelling evidence from the reality we share for his or her preferred individual god over that of a theist who believes in another god. This raises the very legitimate general question Dawkins also expresses of asking theists for show a comprehensive answer independent of faith-based belief as to how anyone can know the difference between these contrary and incompatible beliefs in different gods that Glass ignores in his haste to replace and cover up and hide this central problem with a straw man argument he attributes to be Dawkins anti-theist argument. And more specifically, within the confines of each discrete religious tradition based on some kind of scripture, how can believers themselves determine which bits are to be understood to be literal and which bits are to be understood to be figurative or metaphorical? Again, the absence of a cohesive answer to this methodological problem reveals why there is no compelling evidence that sways theists to start believing in gods they don’t believe in any more than there is for the much vilified atheist! You infer from one mention of Antony Flew in this review (you presumably have not read the book itself?) that Antony Flew’s “conversion” is the very basis for Glass’s belief that there is evidence for God, which simply does not follow. Your quotation of Douglas Adams’ remarks suggests a reliance upon snarky condescension rather than meaningful argumentation. It does not show any real familiarity with the rigorous formulations of the teleological argument from fine tuning advanced by such modern thinkers as William Lane Craig and Robin Collins. You are begging the question, assuming that Glass, and all other theists, that is, people who believe in one transcendent Creator God, do not have any compelling reasons for believing in such an entity, or for disbelieving in entities posited by other worldviews. You, like so many intellectually unsophisticated atheists, simply assume that all worldviews which affirm the existence of some reality beyond the physical universe are on an epistemic par, but make no serious attempt to demonstrate this. I might add that affirming the existence of the transcendent God of classical theism does not commit one to denying the existence of all entities which polytheists worships as “gods.” For example, the Romans worshipped Caesar as a god, and no serious-minded Christian of the early church would have denied the existence of Caesar! Rather, the classic arguments for the existence of the God of theism, if they are sound, imply also that whatever other entities which exist are creatures whose existence is contingent upon the will of the Creator God, and thus they are not proper recipients of worship. The remainder of your post mainly recycles your assertion that theists have no evidence or arguments for their beliefs, while showing no familiarity (beyond a very superficial acquaintance) with any of the evidences or arguments that have been offered for such beliefs. I would be interested to see you attempt to seriously engage, for example, the various versions of the cosmological argument, the teleological argument, the transcendental argument, the noological argument, the moral argument, and the evidences for miracles, including and especially for the resurrection of Jesus. One more point on your remark about adherents to a particular religious tradition being unable to discern which elements of their sacred text are to be taken as literal or metaphorical – similar interpretive questions bear on ALL forms of verbal communication, especially works of ancient history. Dave, hat’s off to you for your ability to utilize sophisticated theological reasoning to obfuscate the obvious and misrepresent my telling points in order to offer the appearance of refutation. Of course, you’ve offered none directly because you have included additional conclusions of your own to act as additions I’ve never made. For example, I would be a dullard of the first magnitude to assume that “Antony Flew’s “conversion” (is) the very basis for Glass’s belief that there is evidence for God,” which is hardly a compliment to Flew, Glass, or me. Of course I don’t think Flew’s ‘conversion’ plays any such role. The hint you missed is that I used the words ‘old’ and ‘feeble-minded’ to describe the basis for Flew’s conversion. You seemed to have intentionally misinterpreted that to serve your ends rather than to understand my point, which is that one man’s conversion (even a renowned atheist whose previous works continue to stand on their own merit) is NOT evidence for an interactive, interventionist god that has designed the universe to fit us. The second clue is that I used the puddle analogy to show the remarkable scope of arrogance needed to assume that it must be our dust mote of existence that is the raison d’etre for the entire universe. My point here is that being feeble-minded aids in overlooking and excusing the scope of such colossal arrogance in action. I suspect that if you could use reality to support your creationist claims, you would do so without hesitation. That you can’t produce something arbitrated by reality to do so is also a clue that no matter how unsophisticated reality may be in your esteemed opinion (and the rest of us who respect its adjudication of claims made about it), it still speaks louder than anything I or you can say, and certainly far more than all the mutterings of all the sophisticated arguments you want me to address to your satisfaction. (Why do I think that no matter what I say, you will find it wanting? Perhaps strong evidence for the mysterious power of Second Sight, no doubt) And I also suspect that you will find whatever I say wanting, no doubt, because I insist that claims anyone makes about reality – atheist or theist or deist or alien or mineral or what have you – requires the claim to be supported by reality… or they have no justified business presenting such unsupported claims to be anything other than fanciful imaginings (bordering on delusion unless acted upon). You may be surprised to find that your words are not an equivalent substitute for reality no matter how fervently, how convincingly, how earnestly, you wish to make them so. And you can shut me and other ‘unsophisticated’ atheists up by producing from an independent reality compelling evidence to support your beliefs about it! That’s the whole refutation! Until then, all you have is these theologically obtuse words laced with convoluted, metaphysical, supernatural, other-dimensional but equally imaginary ‘realities’ to operate in place of evidence from the reality these beliefs try and fail to describe! And then you have the gumption to declare the equivalent prevarications of the meanings inherent in sophisticated theology’s words (that give the appearance of describing what an examination of reality fails to produce) are as true as with all words that have a one-to-one representation in reality that can be demonstrated! And that’s why you have done an outstanding job of showing us sophisticated theology at work… producing nothing of knowledge value but deriding those of us who take note of and respect what reality tells us about itself. Sophisticated theology is a means to an end, and that end is to promote ignorance in the name of piety for power, a way for the arrogant to be accepted by the foolish as the purveyors of another kind of knowledge that by some atheistic conspiracy just so happens to be empty of reflective value about the world we inhabit. “HABERMAS: Once you mentioned to me that your view might be called Deism. Do you think that would be a fair designation? I think the outsider’s test for faith is among the most powerful arguments not against the existence of god, but against the futility of faith in the face of competing theism. It’s not that I think there is no god. Or that there is. It’s that I think the question is wholly irrelevant to my life. So I carry on. Thank you for the compliment, AM. And now I will injure the intention you had with a quibble to what you then say! The fact that more Americans believe in angels and demons (active in the world as causal agents) than do those who understand why evolution is true is a pretty strong indication that religious beliefs about god (for there is a clear cause and effect linking creationism to belief in a creator god) do have a broad effect that impacts on everyone whether they believe similarly or not. Where religious belief is widespread, so too do we find higher rates of all kinds of anti-social behaviours that also cause effect on all citizens. You may choose to believe that the question whether or not there is a god to be irrelevant to your life, but the effects from this belief in a creator god being exercised does have an effect – a net negative cumulative effect. And this is why New Atheists continue to hammer home the point that what we empower with our faith-based beliefs (not just religious but all kinds of woo) in the public domain (rather than withheld solely to the private and personal) do matter… because they have effect. And this effect needs to be exposed so that the next generation will do a better job suspending their faith-based belief from the public domain to avoid causing this negative effect. If Glass is right, Christians should not presume that Vishnu and Baal don’t exist. Every god concept ever proposed would have to be duly considered and disposed of. And of course, all the variations on Yahweh must be considered, such as the Yahweh who celebrates homosexuality and Obamacare. Dawkins is an agnostic (6.9 on a scale of 7). The key is ‘what counts as evidence’? Dawkins uses one standard, a scientific one. Religious believers must use two standards. One for medicine, aviation, driving a car and everything besides religion, plus another to justify their religious beliefs. This is a guest post, so I edited your comment to reflect that. Hello, I think this presumption of atheism relies mostly on a misuse of Ockham’s razor I’ve exposed here. Reblogged this on Defy The Narrative.